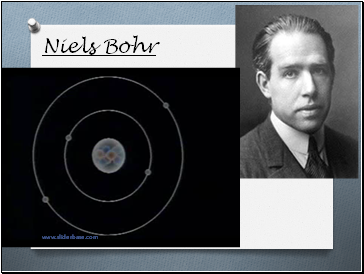 Niels Bohr explained the structure of the atom in his “Bohr models”. 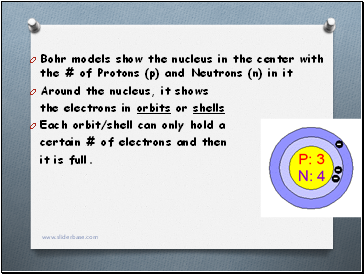 His model of the atom resembles a solar system. 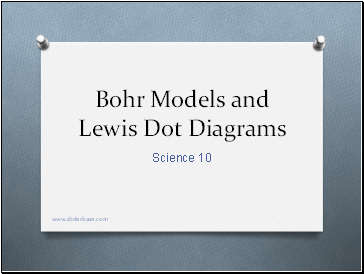 He came up with this model in 1913. 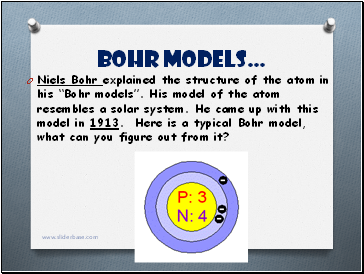 Here is a typical Bohr model, what can you figure out from it? 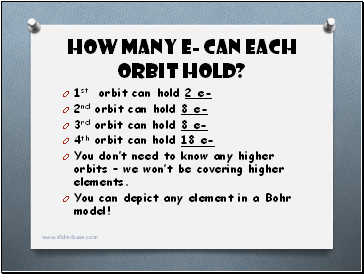 How many e- can each orbit hold? You don’t need to know any higher orbits – we won’t be covering higher elements. 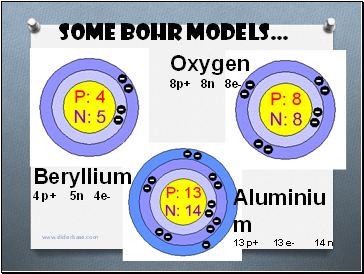 You can depict any element in a Bohr model! 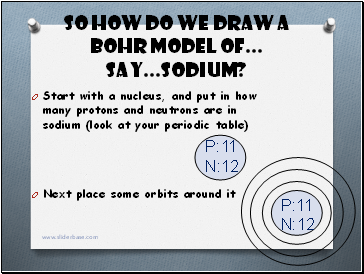 So how do we draw a Bohr model of… say…Sodium? 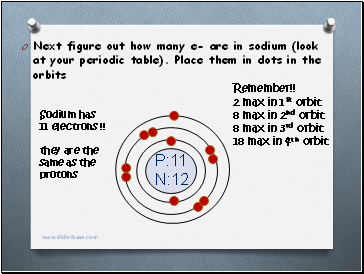 Sodium has 11 electrons !! 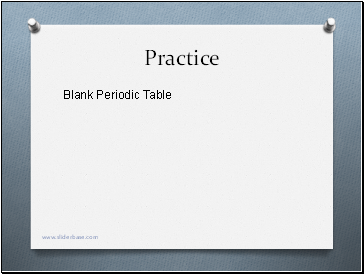 How many neutrons and protons does it have? 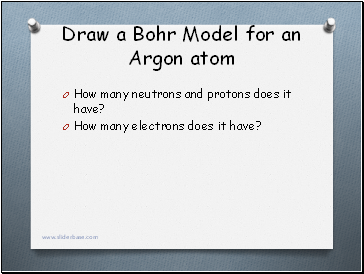 How many electrons does it have? 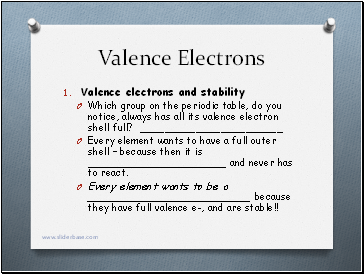 Every element wants to have a full outer shell – because then it is and never has to react.